NYC Litigation Attorneys, Jury Trials, Bench Trials, Mediation | Cornell Grace, P.C. Janet O’Connor Cornell, a founding member of the firm, is an “AV Preeminent” rated attorney and has more than 25 years’ experience. Keith D. Grace, a founding member of the firm, is a seasoned trial and appellate lawyer with experience practicing in the nation’s most competitive markets. Since joining Cornell Grace as an associate in 2012, Porsha has become a well-known and widely respected practitioner in New York City construction accident, municipal, educational and other personal injury defense litigation. In 2017, Ms. Johnson spearheaded the firm’s victory in the State’s highest court on a widely reported matter that has broad implications for our municipal clients. Amy L. Schaefer joined Cornell Grace, P.C. in 2013. Ms. Schaefer has experience in all aspects of litigation, including successfully trying cases to verdict. Joseph E. Donat is a seasoned trial attorney, who has specialized in the defense of serious personal injury and death litigation in both the state and federal courts of New York. Laura Maletta’s practice areas include premises liability, New York Labor Law, products liability, and declaratory judgment actions. She has successfully handled cases from inception to trial. 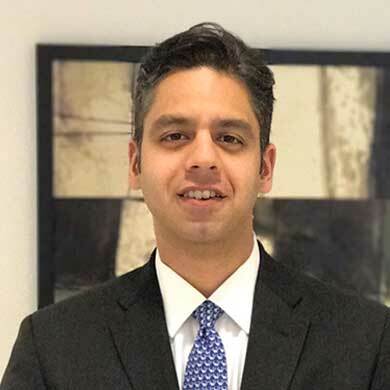 Adeel Jamaluddin is a seasoned litigator who is involved in all aspects of Labor Law/construction defense, coverage, premises, and products liability. Prachi Ajmera joined Cornell Grace, P.C. in 2017. Ms. Ajmera has significant experience handling general liability and labor law matters. Keisha A. Parker has been involved with a number of death and catastrophic injury cases in which a product was alleged to have been defectively or negligently designed. Ms. Parker joined Cornell Grace, P.C. in 2017. Alexander F. Schwall joined Cornell Grace, P.C. in 2018. Mr. Schwall has significant experience as a trial attorney. He has handled cases throughout all stages of litigation from inception through resolution or trial, both in New York and in Georgia. Aram L. Erenburg has more than 20 years’ experience handling litigated matters in New York State and federal courts.